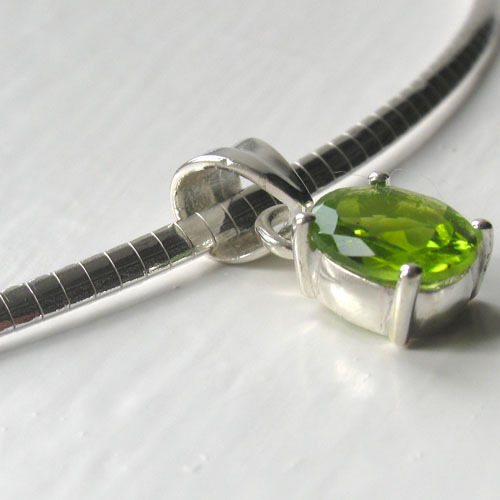 Peridot solitaire pendant claw set in sterling silver. 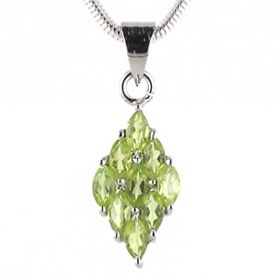 This timeless peridot pendant featuring a clear, brilliant peridot, is sure to become a favourite. 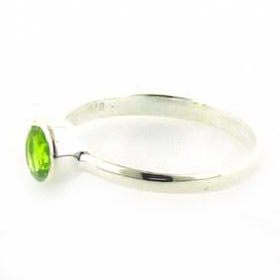 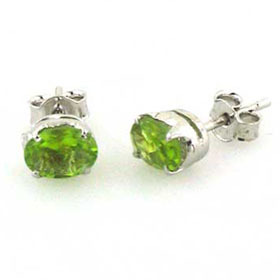 The peridot gemstone is set with 4 claws securing it into the silver setting. 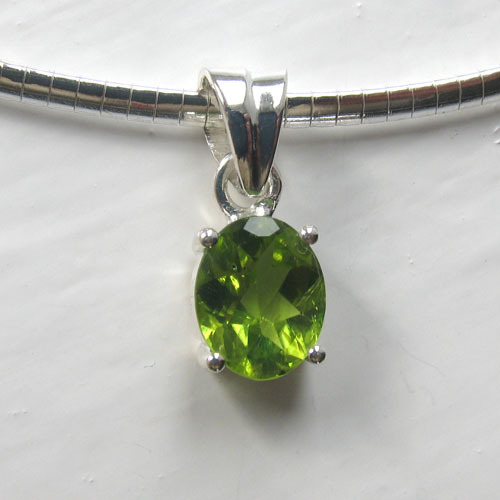 The stone is open at the back allowing light through the peridot. 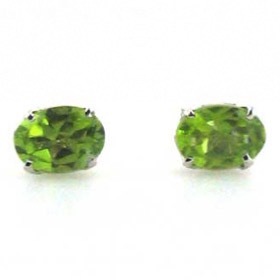 Peridot is a gorgeous clean lime green colour which continues to look bright even in the dark. 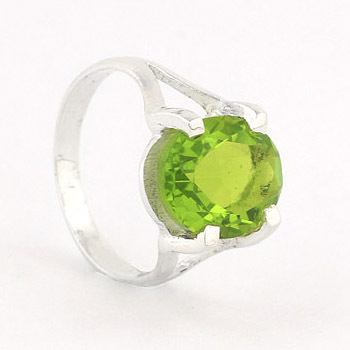 It mixes well with most colours. 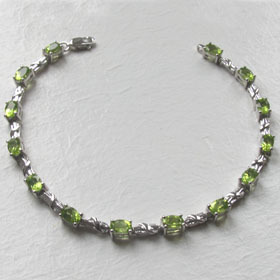 Take a look at our peridot bracelets and peridot rings. 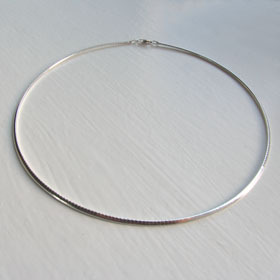 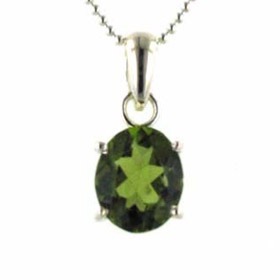 We chose our popular silver omega chain, width 2mm to hang this peridot pendant - see below. 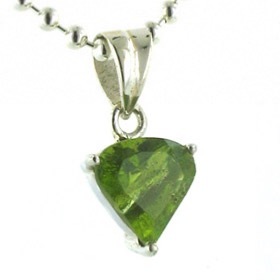 For a wide choice of sterling silver chains to wear with this peridot pendant see our collection of Italian sterling silver chains.